Newly released documents reveal just how bad the situation was at Force India over the summer, the Silverstone-based outfit on the verge of collapse owing £28.5m to 450 companies. Top of the pile of a list of creditors that included parts manufacturers, doctors, journalists, Toyota (wind tunnel use), delivery firms, drivers (for example Paul di Resta £348.86!!! ), caterers, DJs and even various race tracks including Abu Dhabi, COTA and Monza, was Mercedes which was owed £13.7m for its engines. According to the Independent, the documents reveal that so dire was the situation, the team received "two loans from BWT, its main sponsor, of £757,000 and €535,000 to assist with its cash flow", the Austrian manufacturer of water treatment systems subsequently lending the team a further £5m to cover its July wages bill. While Mercedes and Sergio Perez topped the list of creditors - the Mexican driver owed $4m - it was the money owed to HMRC and Formtech, a parts supplier which was owed £2.4m, that brought matters to a head. On 5 June Force India received a winding-up notice from HMRC and Formtech, and with a court decision due on 25 July there was every likelihood that the Silverstone-based outfit would have to shut up shop. However, Perez subsequently stepped in to have the team placed into administration, a move which ultimately saved it. Whereas winding-up means the end of the road, having the team put in administration allowed FRP Advisory to take control with the objective of either selling its assets or finding a buyer for the company's shares. According to FRP, "cash available in the company's bank account on appointment totalled £240k. This was insufficient to meet immediate costs, such as the outstanding wages for July 2018 of some £2.2 million." It was at this stage that BWT handed over the £5m, which covered the July salaries. However, as the documents confirm, "there was a funding requirement of £9.6 million for August to include the July and August salaries, ongoing car build costs, shut down maintenance costs as well as preparatory costs for the forthcoming races at Spa and Monza. No meaningful income was forecast to be received in August." In its efforts to find a buyer, FRP "engaged with numerous interested parties, receiving in excess of 20 expressions of interest." Setting a 6 August deadline, FRP says it received five potential offers but only one of these was to buy shares in the team. 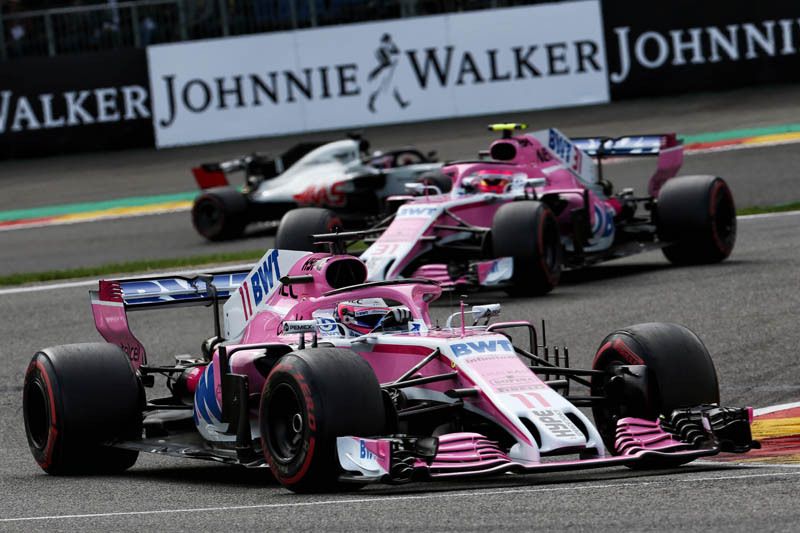 Step forward Lawrence Stroll and his Racing Point consortium, who immediately "provided a £15 million loan to the company to enable the ongoing payment of costs including the time critical development of the 2019 racing car... This enabled BWT to be repaid their loan of £5 million." Got that, Stroll handed over £15m before his takeover had been finalised. However, this was only the start. The charges against Vijay Mallya involve $1.3bn of unpaid loans given to his companies by a number of Indian banks. Having already secured a worldwide freeze on his assets, the banks are seeking his extradition to India in order that they can seize them should they win the case. The freeze, means that Mallya is unable to sell his assets and the banks have to give their consent to the sale of shares in Force India. 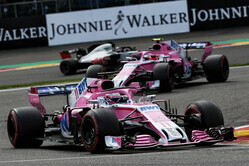 FRP needed the approval of the banks by Friday 17 August, for on the Monday the Force India staff returned from the summer break and preparations for the Belgian Grand Prix got underway. However, as it became obvious that the 17 August deadline could be met, FRP changed tack and instead of selling the shares in Force India, opted to sell the team's assets. "By 14 August 2018 the required consents of the Indian banks had not been obtained," the documents reveal. "On 15 August 2018 Racing Point advised of their intention to proceed with a purchase of the company's business and assets for £90 million... On 16 August 2018 a sale of the company's business and assets was completed for a consideration of £90 million which was received in full at completion." Revealing that it will receive 2.25% of the proceeds, which works out at a cool £2m, FRP adds that "based on the assumptions made in the estimated outcome statement it is currently estimated that there will be sufficient funds available to pay all creditors in full." Hard to believe, but if this happens, Mallya and Subrata Roy would be paid from the remaining amount. Other than an ongoing lawsuit against FRP by Uralkali, the Russian potash producer whose chairman and shareholder Dmitry Mazepin is the father of Force India development driver Nikita Mazepin, which claims its offer was ignored, there are a number of other interesting lawsuits on the horizon. The documents reveal that Force India is facing a number of claims, including "a claim of approximately £10 million as commission for introducing a sponsor. This claim is presently scheduled for trial in July 2019... A claim of approximately £8 million as commission for introducing a sponsor. We have also received a claim since our appointment for approximately £3 million in relation to introducing an interested party to acquire the company (which did not occur)." Understandably, FRP says that its lawyers "consider the claims for commission to be without merit". Indeed, the documents reveal that Mallya and Roy claim to be owed £159m, which they say they gave to the team, whereas, according to FRP's lawyers the pair actually owes the team at least £4.2m. FRP says that its forecast that all creditors will be paid in full is made "on the assumed basis that we do not become aware of any other creditors and the various legal claims against the company are unsuccessful." Which, based on the evidence thus far seems highly unlikely. This is a tale that has more twists and turns than anything you'll see at Suzuka this weekend, a saga that at times borders on the fantastic. Proof of just how crazy it all is, can be summed up by recalling the fact that it was HMRC - the UK taxman - who sought the winding-up order that would have finished Force India once and for all. Yet, those of you who recall our recent report revealing that since 2012 a number of UK-based F1 teams have received £112m from HMRC, courtesy of the Research and Development Expenditure Credit (RDEC), with Force India topping the list having received £51.6m, will not be surprised to hear that FRP confirms "the company derived its income from a number of sources including prize monies from the Formula One Group, commercial sponsorships, driver incomes and refunds from HMRC in relation to an annual research and development claim." So, let's get this straight - in total, the tax man gave Force India public money amounting to more than half of the total paid by the team's new owner and then tried to get it shut down. "I do not know how some persons can sleep knowing that their businesses are a real mess. Sooner or later the sewer was going to unclog. " Thanks, I wasn`t paying attention :)"
I don't know what points table you are reading but the official ones only show the 35 points they have one since Belgium. 18 in Belgium, 14 in Italy, none in Singapore and 3 in Russia. Yes, there is a distinct possibility that the old owners held onto their entry so that they could claim the prize money that their version of the team would of won this year. Mallya may be banking (sorry) on this to pay off the banks that he owes money to. In fact the banks may be under the impression that they are getting this money hence the way they acted. Any new team can start racing at any point in the season. There is no rule (that I know of) that says they have to start at the first race of the championship. Of course it makes all sort of, financial, sense to start at the first race of the year. As has been discussed elsewhere. " Is existing Force India business eligible for the prize money? (Racing Point) to start competition from 13th race in the season? Why the constructors standings shows accumulated points for 2 teams (FI & RPFI)? "There's enough in that article for a book. Which they should then throw at Mallya." "Is anything more filthy and corrupt than the business and legal world?" "The house of cards called F1 is even more precarious than we ever imagined. Looking at the other teams in the same light suggests that without major manufacturer subsidy there is little left to create a credible series. Governments are paying vast amounts to host rounds of the championship when there are insufficient solvent runners to make a race. There have to be huge revisions in costs and income distribution if the core of the F1 circus is going to survive in a saleable form. If there are no viable teams to hold viable races there is nothing for Liberty to cover in razzmatazz sell to the circuits, and even less to sell to the broadcasters to attract the advertisers and sponsors. It is now apparent how much of a skillful juggling act Bernie was carrying out. I think F1 will survive because there will always be those who want to race at the premium level, but the dog and pony show will have to reduce to a sustainable level." "Well, FMOB (!!!) you mean to tell me that Ive got more money in my bank than Force India? Would I want an F1 team ? Not if Media Liberty was in charge..."